Erica is the early girl of spring! Actually Erica is a low growing, winter flowering, evergreen shrub, but because carts of heaths and heather are arriving at your local Home Depot in full bloom now, customers assume that they are spring bloomers but the shrub starts it colorful display during the month of February lighting up the dark, gray days of winter. Erica vulgaris; is a member of the family of heaths and heathers that boast well over 500 varieties. Erica thrives in 5-6 hours of direct sun; the polite shrub enjoys well-drained soil, and should be pruned after the plant has bloomed, just to keep the shape. The tiny needle like foliage is susceptible to dehydration due to cold, dry, winter wind so planted in the shelter of larger evergreens, or in a protected garden bed will help to keep the mounding shrub flourishing. Erica embraces a late season snowfall. Snow will not bother the tight, compact, growth habit of the plant, and the moisture that is slowly released from the snowmelt will benefit and insulate the root system. Heaths and heathers prefer an acidic soil; a few shovels of peat moss when planting will make the plants very happy. 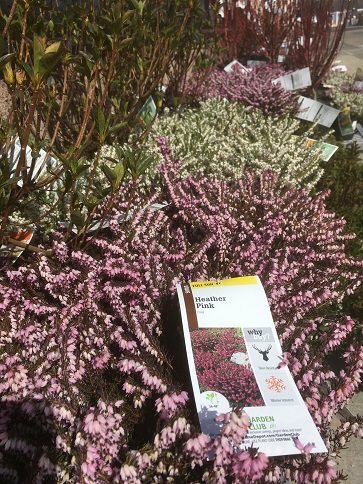 When planted in the right location, i.e., hillsides, rock gardens, as a mass ground cover planting, heaths and heather will perform and provide interest throughout all the seasons, they can even be planted in window boxes and planters. 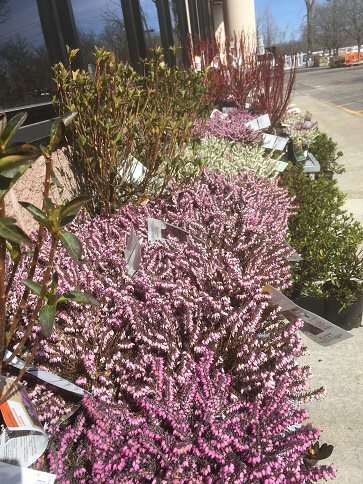 Stop by your local Home Depot and see all the heaths and heathers on parade! Check out the extensive Plant Library by community expert Ingar!